Everyone knows that I’m all about points programs. I especially love earning points on the things I normally purchase. 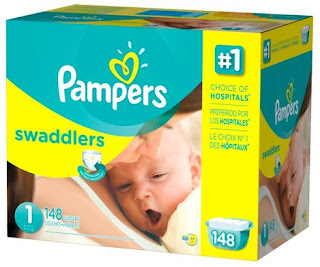 We received a lot of Pampers diapers and baby wipes as gifts from our baby shower. We’ve also heard from many of our friends who are parents that Pampers makes the best quality diapers. 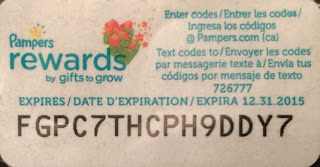 Pampers diapers and wipes packages contain special codes. This is a sample code found on the diaper packaging. No need to try it, code has been used. 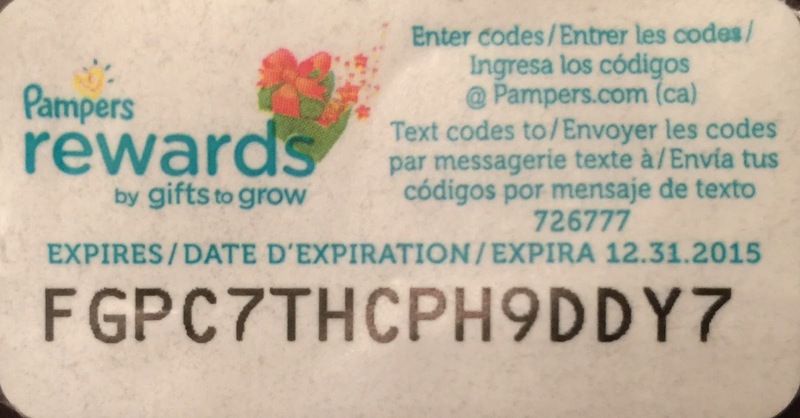 These codes can be submitted online to earn Pampers Rewards points. You can also earn points for watching promotional videos, reviewing products, or reading articles online. 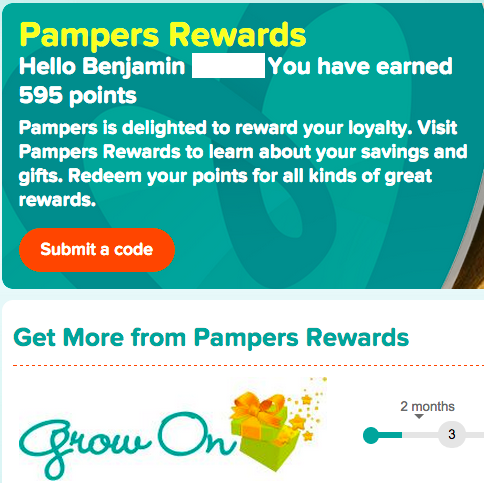 One blog I subscribe to is: Totally free points from non-travel programs, which often posts free Pampers Rewards points from time to time. Different types of diapers and package quantity earn various amounts of points. You can read more about point values here. You enter the codes online or via your smartphone app. There are lots of different rewards that you can redeem your points for, including free photos, toys, baby supplies, books and more. In 5 weeks, we have already earned 595 points in our son’s Pampers Rewards account. I don’t expect to get rich with these points, but it’s nice to get a little extra back from all our diaper purchases.